Day 6 of our Advent Calender, counting down the days until Christmas! Today we bring you Alex! 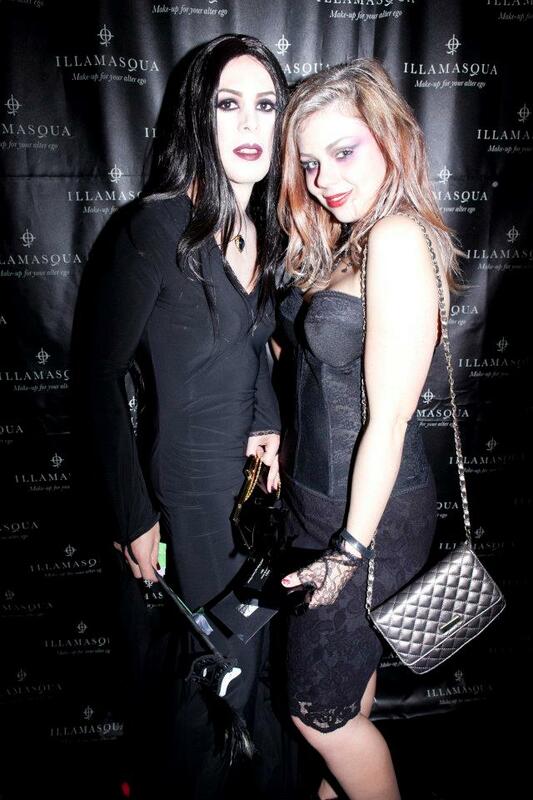 What is your role at Illamasqua or for Illamasqua? I am the Social Media Manager at Illamasqua! Our team co-ordinates all the Social Media content for the brand, as well as liaising with national and international bloggers that want to learn more about us. Sangers is my favourite product of 2011! It’s absolutely “my” red: a perfect blood red that compliments my skin tone and makes my teeth like whiter, what else could you want in a lipstick? This picture is from our Freak ball, one of my highlights of 2011 – it was so much fun dressing up and letting out my wild side for one glamorous night! I got to meet some more of my blogger friends in the UK and Amsterdam this year! We hosted blogger events for SS11 Toxic Nature and AW11 Theatre of the Nameless and it’s always great fun putting together these events and seeing the reactions of everyone. The new collections are extremely exciting for next year. I am looking forward to taking the creative concepts and applying them across our Social Media platforms: videos, apps, blogger events, competitions… so much to look forward to!